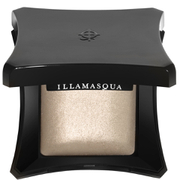 Thinking of starting a career in makeup and want to know some of the basics, Illamasqua Makeup Fundamentals is the perfect beginners makeup course. Over the course of 2 days we will take you through some of the most important looks, products, techniques and theories you will need. This is perfect course for anybody with little to no makeup experience, and is great as a pre-study before enrolling onto a lengthier course. As we work through the 2 days, we will weave in important fundamentals of being a MUA, from career choices, kit options, tools, hygiene and the important underpinning theories around colour. Apply makeup on yourself is one thing, but when working on other people there are lots of important decisions and considerations, let us give you a glimpse into the world of makeup and artistry. Across the two days, our Educators will bring artistry to life through interactive teaching and makeup demonstrations. During this course you will be doing makeup on each other, so come prepared to take you makeup off and please feel free to bring your own cleanser.